There is a significant amount of literature available on the health benefits provided by Turmeric and supplements containing high concentrations of the plant. The medicinal plant has been documented in treating and preventing multiple ailments and even some diseases such as; bowel disease, arthritis, cancer, leukemia (in children) and Alzheimer’s. It has also been stated to; assist in reducing inflammation, promoting better cardiovascular health, lowering cholesterol and treating skin conditions. These benefits are the reason that many people are seeking out Turmeric supplements. It is essential that customers look for certain aspects when they are choosing turmeric supplements. Things like ingredients, the use of chemicals or pesticides, possible side effects and return policies are key to choosing a financially reasonable, quality product. Furthermore, it may be significant for consumers to know what kind of facility the product was produced in and whether there is an FDA approval. One supplement for consumers to consider is Dynamic Nutrition Pure Turmeric Curcumin, which contains highly potent ingredients and is produced in a Good Manufacturing Practice (GMP) – certified establishment. The manufacturers of Dynamic Nutrition Pure Turmeric Curcumin state that the product will assist with treating ailments such as; toothaches, menstrual cramps, jaundice, flatulence, and colic. The manufacturers recommend this product be taken two times per day with water. It is recommended that customers seek advice from a medical practitioner for appropriate individual dosage. 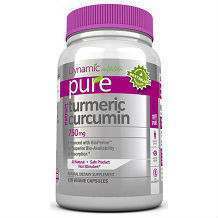 The manufacturers have not reported on possible side effects of Dynamic Nutrition Pure Turmeric Curcumin. However, people who are pregnant, breastfeeding, or taking medications should consult with a medical practitioner before consuming any product. If purchased from the manufacturers website, a bottle of Dynamic Nutrition Pure Turmeric Curcumin is priced at $24.97 for 120 vegetarian capsules. This is discounted from it’s original price $39.99. The discount better aligns the product with most others available on the market. There is a 30-day money-back product satisfaction guarantee offered by the manufacturers, which provides the consumers with a refund if they are unsatisfied with the product. However, it is the responsibility of the customer to pay the costs of shipping and handling. 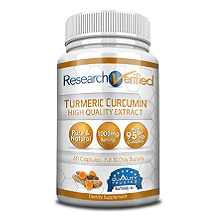 Overall, Dynamic Nutrition Pure Turmeric Curcumin has a reasonable price point and pure, potent ingredients are used in it, which would likely provide health benefits. However, the money-back guarantee time limit of 30 days is not as generous as that of other products on the market.